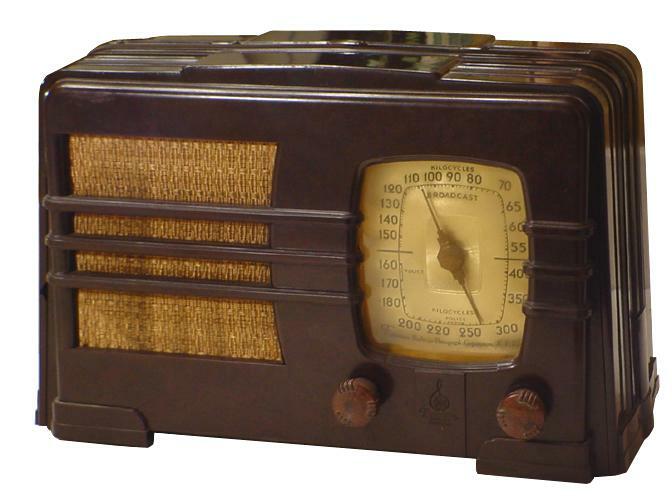 This stunning brown bakelite Emerson 149 was purchased from ebay in restored condition. The cabinet is made out of three molded parts for the front, sides, and rear. Emersons in this cabinet were sometimes found with a combination of white plaskon pieces and brown bakelite pieces such as brown front and rear with the white plaskon sides. I am not too keen on multi-color cabinets and was glad this one came with all the pieces in the same color. 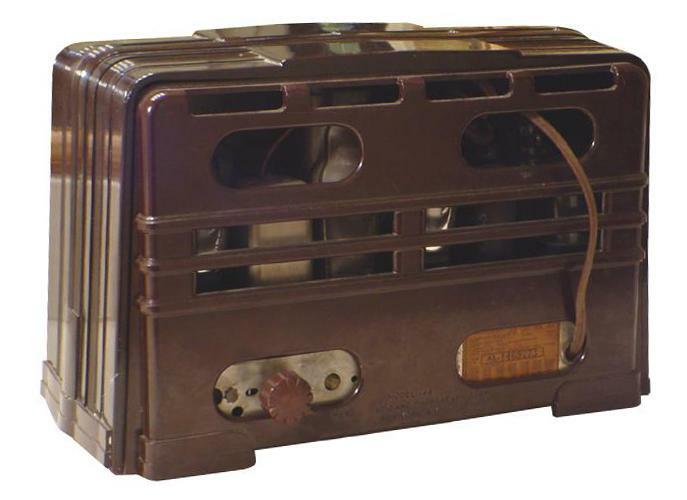 The model number for the radio was molded as "MODEL 149" in the rear bakelite piece of the cabinet, but that model was nowhere to be found in the Mallory Radio Service Encyclopedia. However, an AC149 has the same tube lineup and I have seen battery versions in the same cabinet so I suspect the cabinet was used for a battery and the AC149 model. The AC149 originally sold for $20.